• the absence of fiduciary duty. The author describes the nature of the many breaches of disclosure laws and rules in the two decades or so of the history of China’s securities market and the pressures within the relevant government agencies confronting the problem. 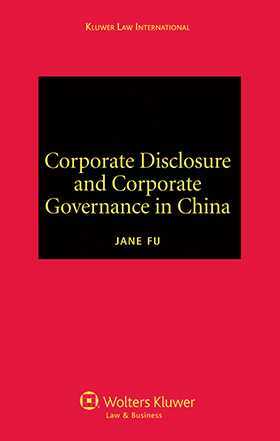 As a detailed analysis of the Chinese corporate disclosure regime that has emerged during the period of China’s economic transition since the 1990s, this incomparable book will be of great interest to legal researchers, policymakers, and legal practitioners working with business investments in China.